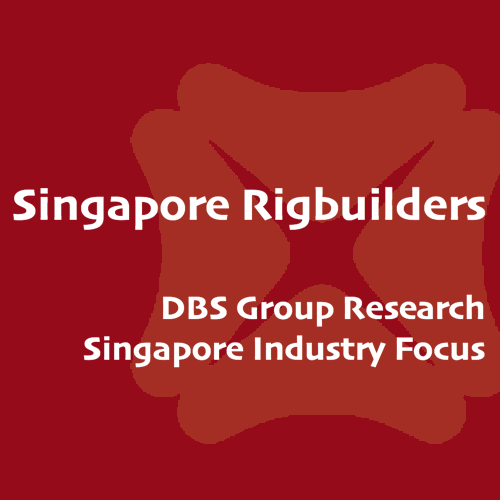 Singapore Rigbuilders - DBS Research 2016-03-11: Looming credit risks? Singapore Rigbuilders - Looming credit risks? Usher in another wave of deferment/cancellation. Moody’s recent downgrade on ratings of several key drillers could exacerbate their predicament by reducing access to debt capital and pushing some of them into financial distress. This could trigger another wave of rig deferment/cancellations led by a credit crunch. Transocean defers delivery of Keppel rigs again; SMM could feel the heat. The delivery of first of the five jack-up orders with Keppel will be pushed back by another two years to 1Q20, from the original schedule of 1Q16. We trimmed Keppel’s FY16-17 PATMI by 1.5-2.8%. Transocean’s two drillship orders with SMM, could be at stake too, given the first unit was supposed to be delivered in 2Q19. In the event of deferment by another year to 2Q20, SMM’s FY17 PATMI could be reduced by 8%. Earnings downside risks from rescheduling. 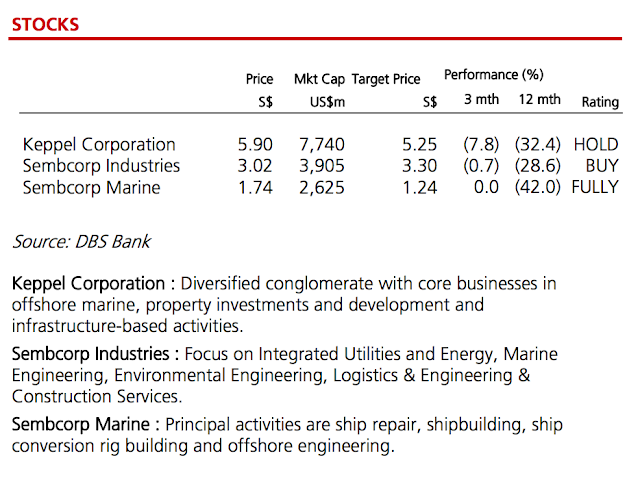 If the identified riskier orders (refer to page 3) are pushed back by another year, this will affect pure-play SMM the most, by up to 17% of its FY16 PATMI; while Keppel by 9% due to its diversified earnings base. SCI should be the least impacted, seeing a 5% earnings reduction, for its 61%-stake in SMM. The declining activities also take a toll on yards’ efficiency. Upside risks stem from the potential writeback of provisions upon successful deliveries. We estimate that up to 35% discount to contract value has been factored in in SMM’s S$280m provision for non-Sete projects, which seem sufficient at this point. Keppel could see rising pressure to make first provisions for the non-Sete projects, by up to S$200m based on our back-of-the-envelope calculation. For Sete projects, we believe the milestone payment, ~35% of total contract value, offers good buffer for the seven units at the advanced stages, thus preventing the stakeholders of Sete from cancelling. Cancellations risks are higher for the remaining six units at < 20% completion. We are unsure if the provision made is sufficient to cover the liability to vendors. SCI remains the only BUY call among the large-cap offshore plays for its stable but undervalued utilities business. We recommend selling into strength for the O&G-related stocks, as the oil price’s bounce could be short-lived without any meaningful change in fundamentals.